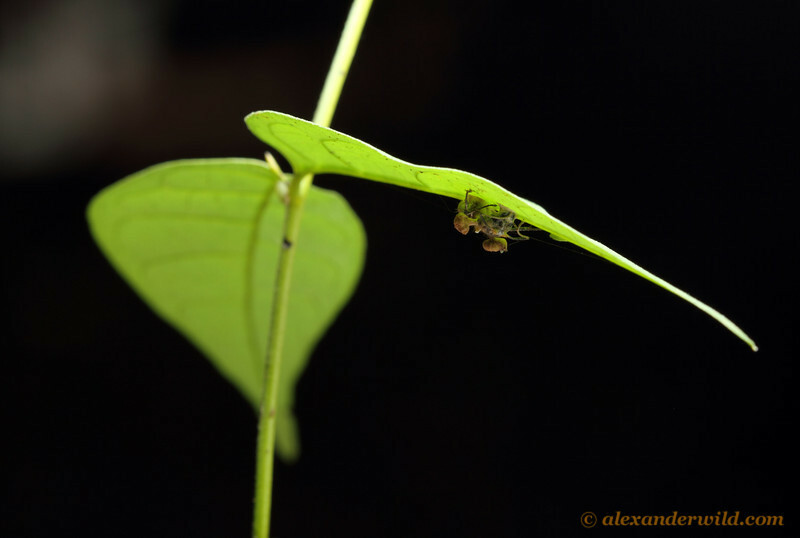 Images of species that parasitize or prey on ants. Ants killed by fungi are often found stuck to the underside of leaves near the forest floor. There, the humidity is optimal for fungal growth.